Tourist circuit in Salta and Jujuy its culture regional gastronomy. 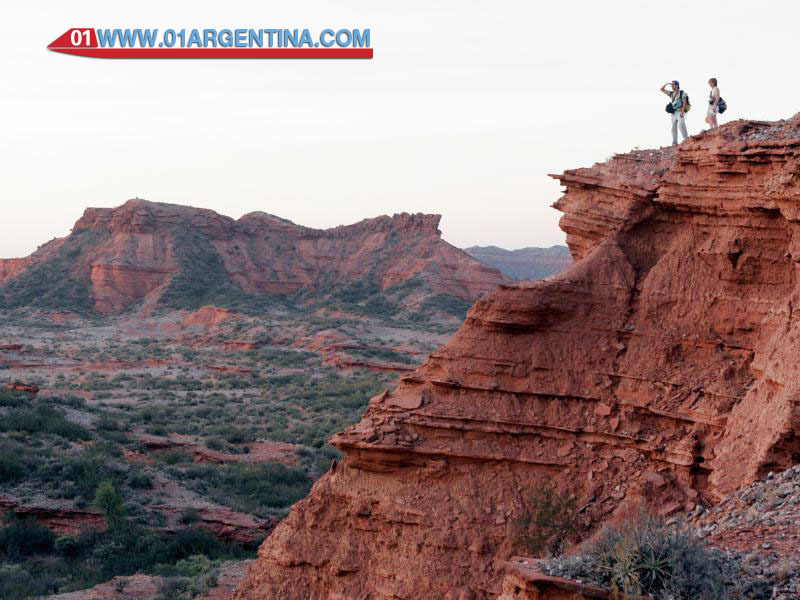 ← Jujuy to north argentina a colorful travel. The Quebrada de Humahuaca is an extensive mountainous valley of asymmetric profile of 155 kilometers in length, that runs in a North to South direction and is located in the extreme Northwest of the Argentine Republic. It constitutes a heritage system with exceptional characteristics. Visiting the north of Argentina is a cultural itinerary with amazing landscapes that has greatly influenced the development and cultural configuration of its own space, giving rise to a rich syncretism that, with its own personality, is reflected in its material patrimonial testimonies and in other intangible values. All these elements allow us to give this context a strong meaning for a plural reading of history and universal culture. Throughout 10,000 years, this Andean valley has been the scene of a great part of the cultural developments of the region and of the neighboring countries of South America; in an uninterrupted route that goes from the installation of the first hunting villages, about ten millennia ago, to the present. In this sense, the Quebrada de Humahuaca has functioned as a permanent path of longitudinal and transversal interaction, linking distant and different territories and cultures, from the Atlantic to the Pacific, and from the Andes to the southern plains. The historical center of Salta is unique, both in its urban layout and in its spatial and functional relationships, in the ratio between the built space and the free space -its large courtyards. In short, in their quality of life. You can admire the panoramas of the urban corridors of Caseros Street towards the Church of San Francisco and the Convent of San Bernardo, that of San Juan Street, towards La Viña Church, and others, where the human scale is maintained and the views of the hills, the sky and the sun participate in the urban landscape. The city still conserves the original structure of the Cabildo, and the vestiges of the history passed in its walls. The Basilica of Salta Cathedral, begun in 1858, is considered one of the most beautiful temples in Argentina. Each September, the Salta Cathedral receives thousands of the devotees of the Lord and the Virgen del Milagro, patrons of Salta, to whom a moving story attributes the prodigy of having stopped the earthquakes that devastated the city in 1693. There the Pantheon of the Glorias del Norte keeps the remains of General Martín Miguel de Güemes, among other national heroes. Another of the most outstanding exponents of the architectural and historical heritage of the city is, undoubtedly, the Church and Convent of San Francisco, the tower that accompanies the temple is one of the highest in South America, with 53 meters in height. This traditional tourist circuit offers multiple attractions, both for its different landscapes, as well as for the architecture and culture of its villages. Behind the amazing rock formations of its multicolored gorges and hills, villages whose houses of adobe and straw transport the traveler to remote times rise. This circular circuit can be started by the national route 68 (to Cafayate) or by the provincial route 33 (course to Cachi). The “Vuelta a los Valles” is an unforgettable trip, through a region forged by pre-Inca and colonial history, in a fantastic geography carved by the winds and the sun. In the immensity of the altiplano, located more than 4000 meters, there are the peaks with eternal snows, extensive seas of salt, lagoons full of flamingos and vicuñas that blend into the desert landscape, impossible to cover with the gaze. The puna is a vast region shared by Peru, Bolivia, Chile and Argentina. It is characterized by its own geomorphological, climatic, biological and cultural characteristics associated with the Andes Mountain Range. More than half of the Province of Jujuy is comprised by this region whose main natural features are the high altitude above sea level (above 3400 masl) with mountain ranges, extensive plains (high plateau), high hills and volcanoes, a climate cold and dry of height, a little developed vegetation, and a typical Andean fauna. Its cultural features include the ancestral idiosyncrasy of its Andean peoples, which dates back to pre-Hispanic times, and which, thanks to the customs and traditions of the inhabitants, have been preserved through the ages. The main economic activities are livestock and subsistence agriculture, and mining. In recent years, tourism has begun to become an alternative development offering an interesting variety of activities for visitors, such as mountaineering, observation of flora and fauna, participation in events and local festivities such as the bullfighting of the headband , among many other activities. The Yungas Region is located in the east of the province of Jujuy, it is characterized by the presence of mountain forests or “nuboselvas”. It is made up of the departments of San Pedro, Ledesma, Valle Grande and Santa Bárbara; limiting with the phytogeographic province of Chaco. The region extends from 400 to over 3000 meters above sea level, housing a wide variety of environments that are evident in different vegetation floors, allowing the development of specific flora and fauna: more than 200 species of trees, 80 varieties of ferns, 100 species of mammals, 500 of birds and more than 30 of amphibians. In this rich environment also live different cultural groups, being one of the most ethnic multiplicity of Argentina; and home to the kollas, chané, guaraní, ocloyas and wichis groups, among others. Within this natural paradise, there are modern sugar mills and fruit and citrus production establishments. Because of its great natural and cultural wealth, large portions of its territory are part of the Yungas Biosphere Reserve, which is home to the Calilegua National Park. Also, towards the east, is the Las Lancitas Provincial Reserve. The Yungas are considered one of the environments with the highest biodiversity in Argentina, next to the Paranaense Forest. In short, the Yungas are a refuge of maximum purity, ideal for the practice of low impact activities in coexistence with nature, and the enjoyment of the virgin and natural. Encourage them to discover them.